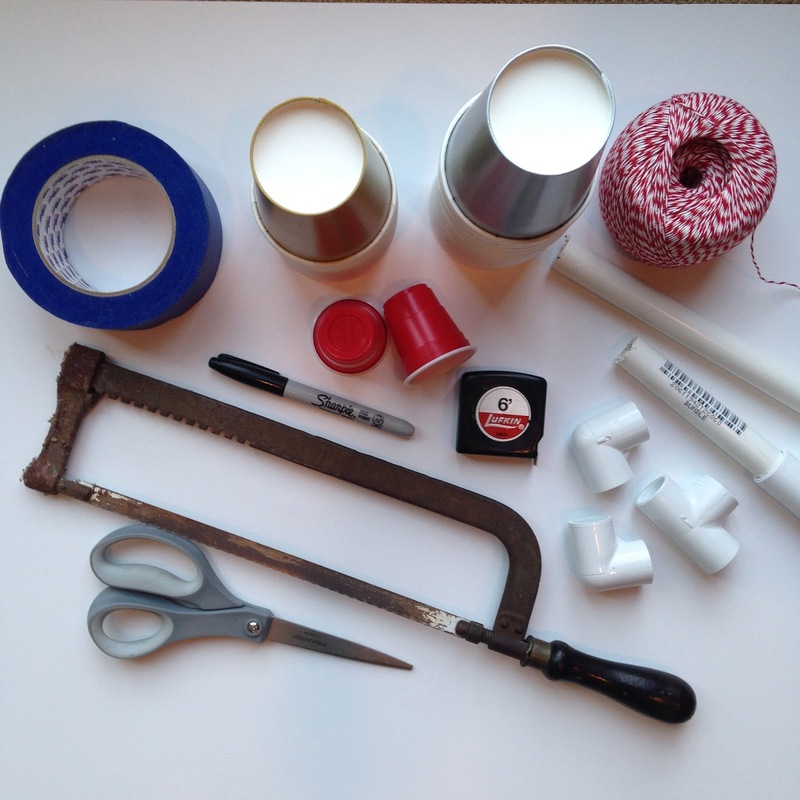 Meredith Plays: Doable DIY FRIDAY... Swinging Nerf Blaster Target! Doable DIY FRIDAY... Swinging Nerf Blaster Target! In case you were unaware, it's FRIDAY! Can a get an Amen?! To kick off my new weekly video series here on the site, I'm sharing the super-simpliest DIY for you and your pent-up youngsters to make together this weekend. A swinging target for all the stuff they love to hurl through the air...Nerf darts, foam balls or arrows, rubber bands, and on and on and on. So, enough talking...here ya go! A Pinterest worthy project, you can actually do. I think we need a new hack saw. I let Jon cut the PVC to size, because, well, rusty hack saw! If you don't have a hack saw, ask around. Someone you know has one. As promised, here's a tutorial for those awesome marshmallow shooters I told you about: Marshmallow "poppers"